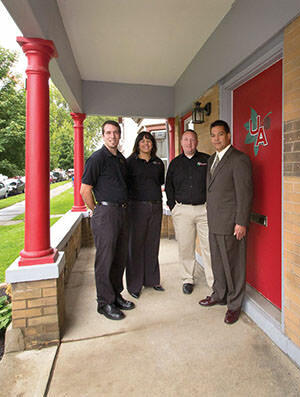 The Robert Weiler Company has helped thousands of clients find their place and achieve their dreams in Central Ohio. The professionalism and expertise of our commercial property managers have earned us a solid reputation for client success. Promoting a company approach rarely found in the industry, we best utilize the strengths of our entire team to benefit every client. The Robert Weiler Company provides professional property management services throughout Central Ohio. Each property manager is a specialist in this sector and ensures our clients receive the best guidance and support for their specific property needs. The Robert Weiler Company was founded in 1938 by A. Robert Weiler and was originally focused on selling and leasing property in downtown Columbus, Ohio. Today, The Robert Weiler Company is a full-service real estate firm specializing in brokerage, appraisal, property management, development, and consultation throughout Central Ohio. Click the names of each property manager listed on the left to learn more about our property management team. Or call us at 614-221-4286 to discuss your needs.